The Veggies are movin' and grovin' with this CD with some great action songs including Deep and Wide " "Keep Walking " "Ezekiel Saw The Wheel " "Yankee Doodle" and many more! 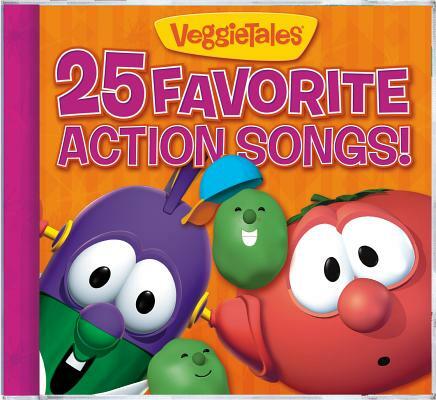 25 Favorite Veggie Action Songs by Veggietales was published by Word Entertainment in April 2010 and is our 15780th best seller. The ISBN for 25 Favorite Veggie Action Songs is 0820413115029. Be the first to review 25 Favorite Veggie Action Songs! Got a question? No problem! Just click here to ask us about 25 Favorite Veggie Action Songs.